With pensions pretty much a thing of the past for most people, having a good retirement plan like a 401(k) is essential. One thing that makes a good plan is a long-term investing strategy. Accruing dividends to earn compound interest can help offset any capital losses. Plus most employers offer a company match. You should at least make a monthly contribution that is large enough to generate a company match and, If possible, contribute the most you can. This match money is not costing you a thing and it will help your 401(k) grow, so make sure you make the most of it. And match money or not, the money you are socking away for your retirement is still going to get taxed, it is just a matter of when. That’s why it may be better to wait to realize capital gains until after you retire so you won’t be penalized with a capital gains percentage. 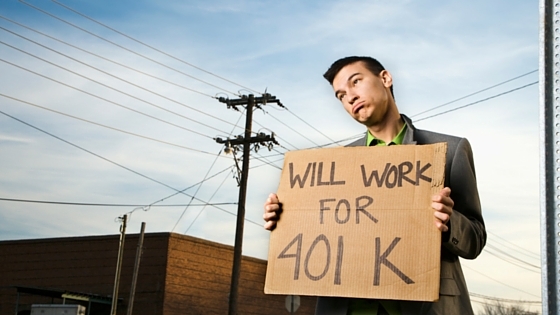 Also, to avoid an early distribution tax, you shouldn’t withdraw from you 401(k) until you are at least 59 ½. By the way, this early withdrawal penalty is the government’s way of keeping us out of our retirement savings before our retirement years. Some exemptions do apply, like certain medical expenses, but it is better to check with your financial advisor on the portions of medical expenses that can be deducted.